What began with a simple desire to create a high quality hemp product for our dogs has evolved into a passion to educate pet owners about the potential benefits of hemp. For us, it all started with Dave’s dogs. With the desire to create a healthy product to help ease their movement and calm their nerves from time to time. And we wanted to be transparent so pets and their people know what and how much of every active ingredient is in all of our products. This dosage form health product is fortified with healthy green-lipped mussel and salmon oil and infused with the highest grade hemp oil available. 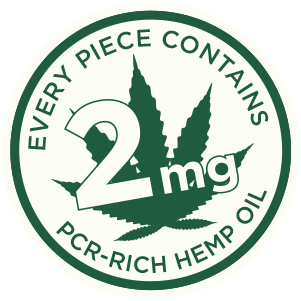 The hemp oil we use is extracted from legal industrial hemp, a plant in the Cannabis family. Industrial hemp is naturally rich in beneficial compounds, including phytocannabinoids, terpenes and flavonoids, that activate the nervous and immune systems of animals. THC can be toxic to animals. Every batch of hemp oil we use in our products is tested to ensure it contains less than 0.3% THC. Healthy Hemp Pet Company makes pet health products infused with hemp oil.